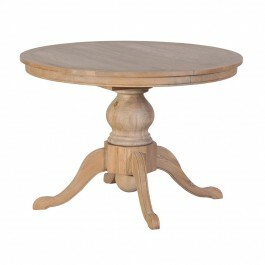 The Weathered Oak Round Extending Dining Table is also a large extended weathered oak Oval dining table. This round or oval weathered oak dining table has the extending oak table leaf stored inside the table and out of sight, once the extending center section is added the weathered dining table then becomes an oval in shape and can welcome many more people to the center piece of the dining room. 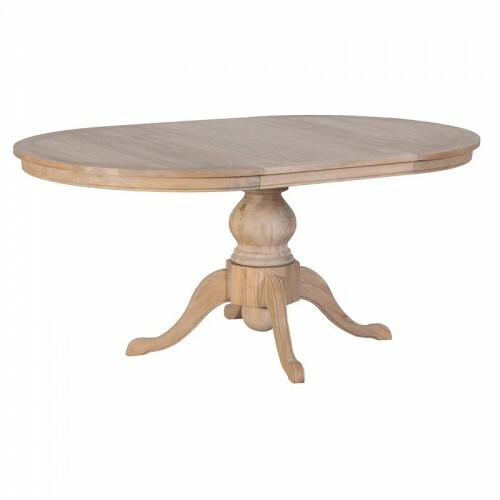 This weathered oak extending dining table has a very heavy pedestal with 4 splayed legs, the round dining table top has 2 half moon pieces which slide apart to discover the additional center leaf, once the extra leaf is added to the table top then it becomes much larger and oval in shape. The weathered oak table is very heavy and is made completely from solid natural oak.